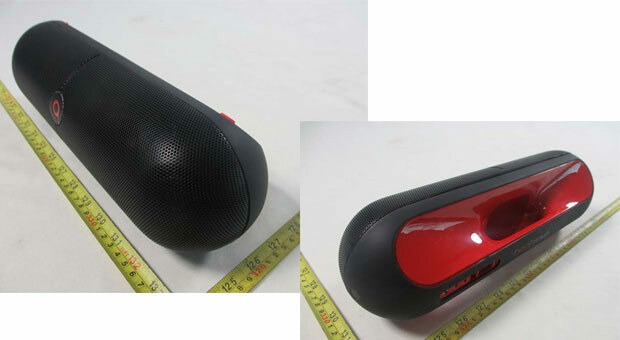 A larger Beats Pill wireless speaker has appeared in the FCC website. Dubbed the Beats Pill XL, the latest sound bar from Dr. Dre packs more punch and a similar design to the first Pill. The speaker is yet to be officially announced, but the FCC docs reveal it boasts Bluetooth connectivity and NFC for easier pairing. On top of that, there’s a 4,400mAh battery inside. As you’d imagine, it’s used for not only providing juice to the Pill, but can also charge your mobile phone. As the Beats Pill XL by Dr. Dre isn’t yet official there’s no info on pricing and availability. Judging by its size, I presume it’s going to be a bit pricier than its smaller brother, which currently retails for under $200 on Amazon.